Hands up, who needs more sleep? Or better sleep? Or struggles to fall asleep? Can I put my hand up for all three? Before Oliver I could sleep for 12 hours no problem, I'm a natural night owl who can sleep until noon, easy. But my baby has other ideas, he is still waking regularly all night, even more so because he's teething at the moment, and even when I do put my head on the pillow I find it really hard to fall asleep. It's like I perk up the moment I lie down, I'm suddenly awake! It can take 2+ hours to fall asleep some nights, and just as I drift off... I'm up to feed the baby. Damn it. In the past couple of weeks, I've been trying to find ways to combat this and help make drifting off easier because I could really do with those two hours sleep, please. Not using my phone when I get into bed. Going to bed when I'm tired instead of waiting for Michael to want to go to bed, too. Along with these simple things, I've been including the two beauty products pictured above into my routine. 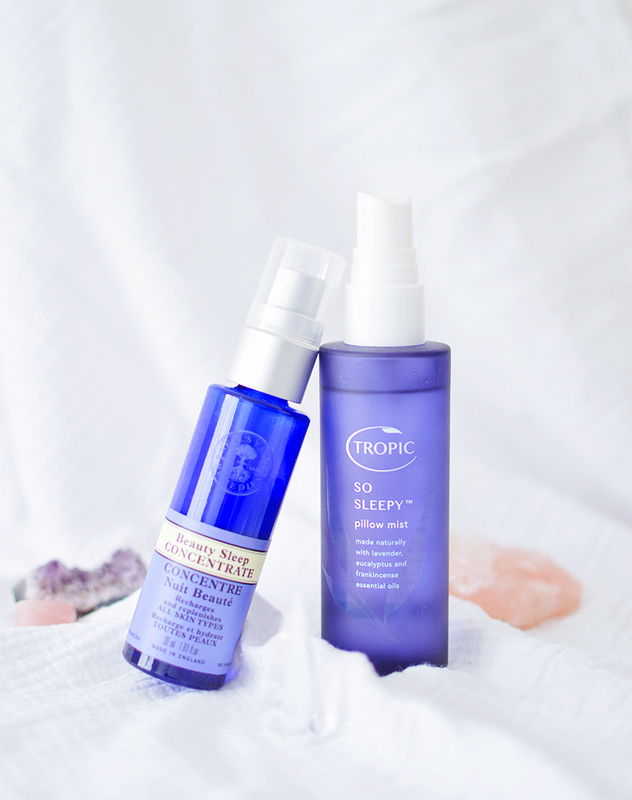 The Tropic So Sleepy Pillow Mist has quickly grown to be a firm favourite of mine, helping me associate the divine, calming scent with sleep. I love lavender so it was obvious I would love this too, but it also includes a lush blend of Rosemary, Chamomile, Frankincense, Rosewood, Eucalyptus and Rose Geranium essential oils too. These oils come together to create something a little more complex than just your standard lavender pillow mist, it's not overpowering but strong enough that I only need to spray my pillow once for a long-lasting scent that calms me down. If I focus on the scent and breathing slowly, then I'm often asleep before you know it. 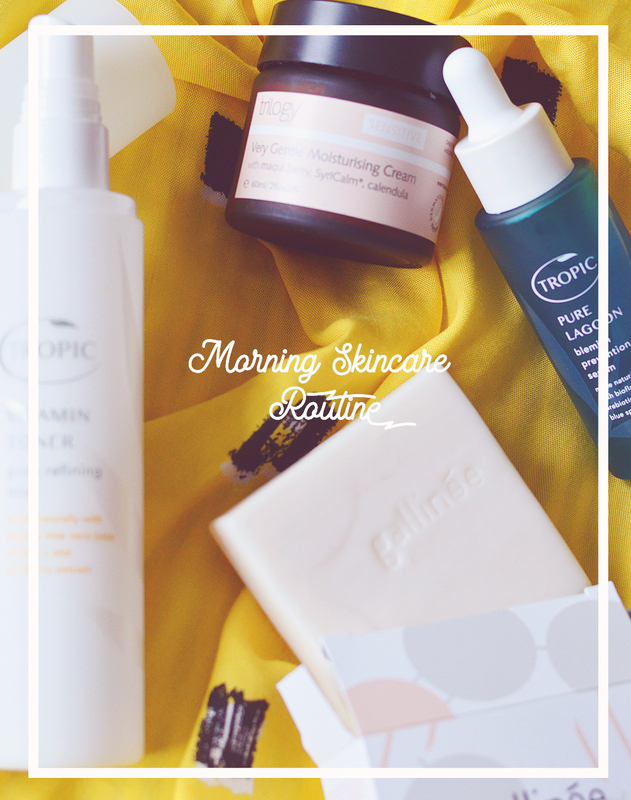 For skincare, I have been including the Neal's Yard Remedies Beauty Sleep Concentrate. A night time serum/light moisturiser that's dreamy in all the right ways. The cream contains cocoa butter, grape seed oil and aloe vera, along with ylang-ylang for that dream-inducing scent and a host of other good skin ingredients, too. If my skin isn't too dry I tend to use this alone, but it does also pair well with a facial oil or thicker night cream on top. Smooth over skin and breathe in deep for all those sweet aromatherapy benefits.